I've also managed to find a featurette about being a "different kind of super hero" - where the sidekick is the one that does all the "hero" stuff! 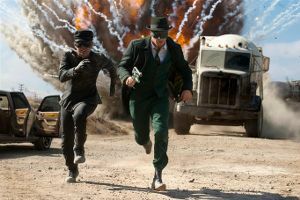 A classic character of film, television, radio, and comic books returns to the big screen in Columbia Pictures’ feature film The Green Hornet, starring Seth Rogen as the vigilante crime-fighter. The film will be directed by Michel Gondry (Eternal Sunshine of the Spotless Mind) from a screenplay written by Seth Rogen & Evan Goldberg (Superbad, Pineapple Express), based upon “The Green Hornet” radio series created by George W. Trendle, and produced by Neal H. Moritz (The Fast and the Furious). 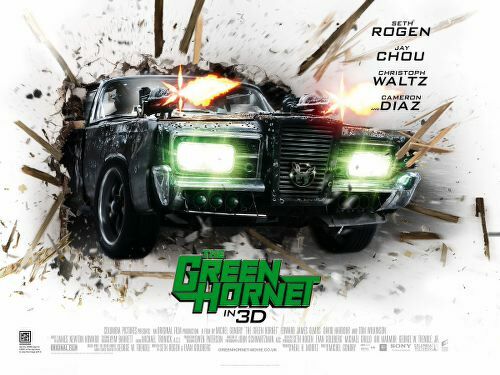 The Green Hornet will be released at UK & Irish cinemas on 14th January 2011.